Have you had a chance to get your copy of Learn with Play? It is filled with 150+ tried and true activities your kids will love! And I am excited to share one of our activities with you that you'll find in the book as part of the Learning with Manipulatives Series! 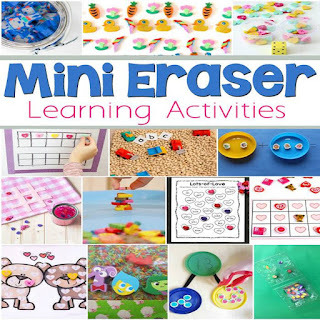 Today we are sharing ways to learn and play with mini erasers. 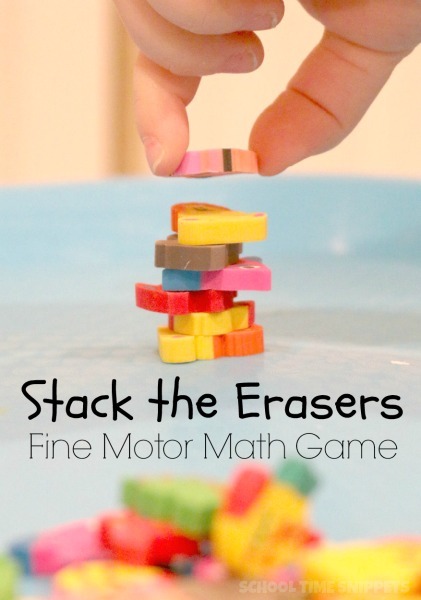 Grab your stash and play a fun game that works on math and fine motor skills. 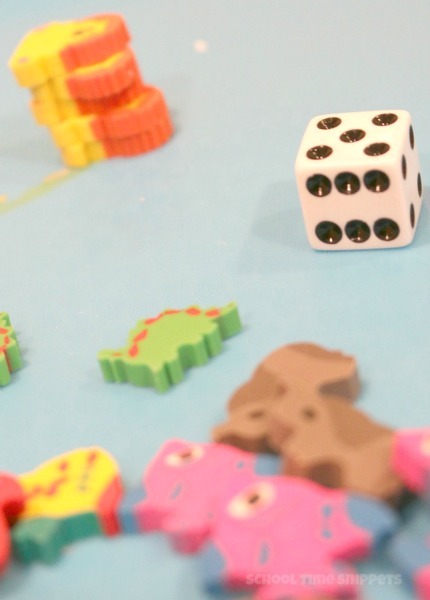 Your kiddos will love our Stack the Erasers Game! To play, gather your materials and find a flat, sturdy surface. 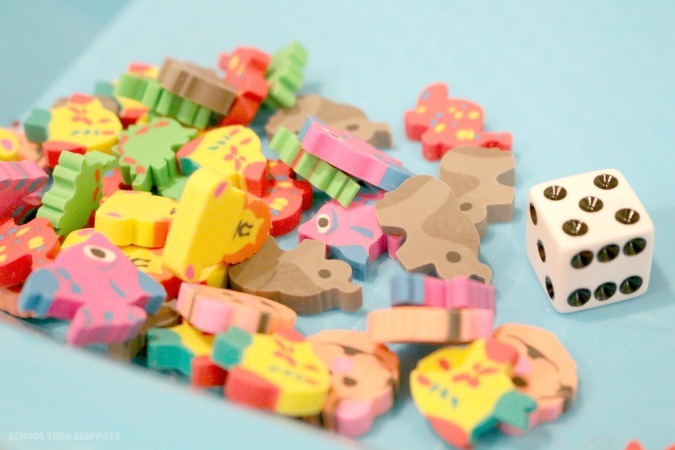 Simply roll the die and begin a stacking that many erasers to a pile. Continue until the stack of erasers falls over! This is a great way to work on number recognition, counting, and 1:1 correspondence-- math skills that are important for your child to understand and know! You might also like to add in some tweezers for some extra fine motor practice. Or have each player make his/her own tower and see who can stack the most erasers on top. Have fun with this super simple fine motor math game! For another alternative, check out our Stack the Coins Money Game, which is a fun game to practice counting coin values!